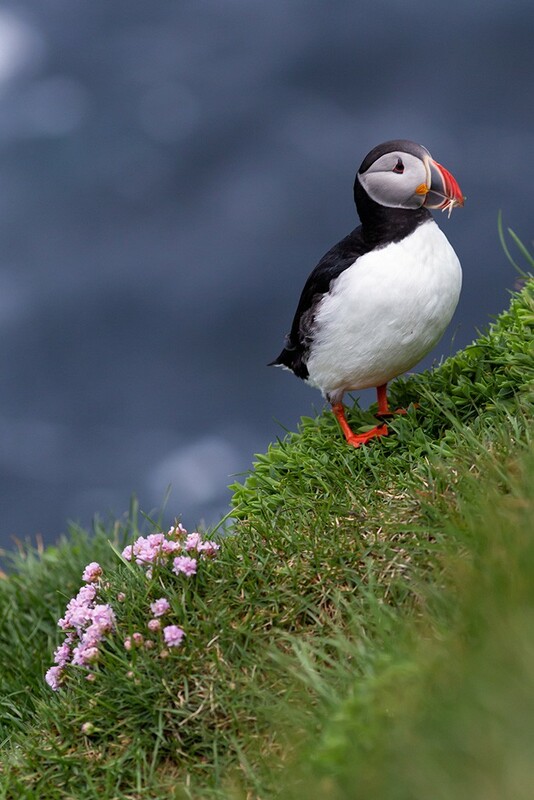 Story of my unexpected meeting with puffins. I’m not an animal photographer. I think I have never been very sensitive about animals photography and even I thought that photographers doing this are a little bit crazy, wasting so much time, hidden in the grass or anywhere else, to see the life of insignificant animals… Come on. Well, that was before meeting puffins in Iceland. This day I went to Látrabjarg without knowing what I would found here. It was just wrote on my map that I should go there because it’s cool… Ok let’s go, let’s do that long and horrible road (but beautiful) in a classic car (not a 4×4), at around 10pm. And what a shock at the arrival. I park the car, I just can see some meters away photographers lying on the ground at the edge of the cliff. I thought « what the f*ck are they doing… ». My girlfriend preceded me while I take my camera gear at the back of the car. I saw her at the edge of the cliff too, looking at me and just giving me a sign to tell me to come closer. I walk carefully and slowly to the edge. And then I saw them. Small creatures colorful beak hung to the cliff, above the ocean. They are at less than 2 meters of me. We are surprised both of us to see each other. But not frightened. I was immediately in love. Intrigued by their not shy attitude, clumsy gait, their curious eyes and the contrast between these tender little creatures amid the rough and perilous landscape. I have one regret : I didn’t had time enough to spend with them.